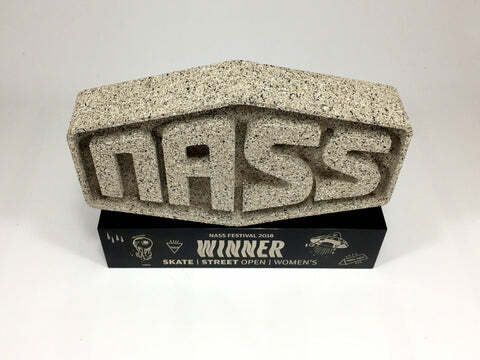 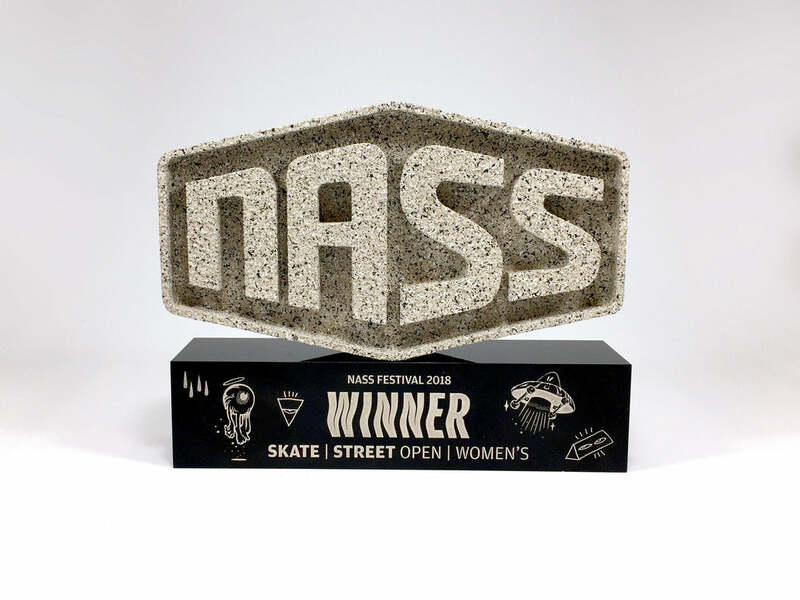 We put the rock, well a custom cut stone actually, in rock music with the custom made award for the NASS music festival. The Bristol based festival takes place over four days and is a celebration of music, skating, BMX and street art. To capture the energy and excitement of the event we created a custom cast thick stone top of the festival logo that was profiled and debossed creating a pop out, eye catching effect. 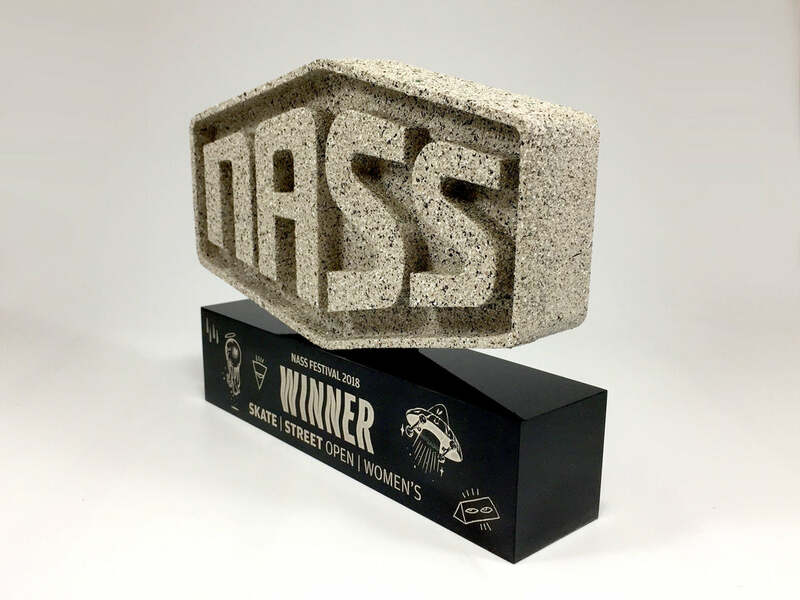 To finish, the bespoke acrylic base was engraved, using the same font as the branding, with the recipients details and festival information.